This page is about books recommended by theleansubmariner. 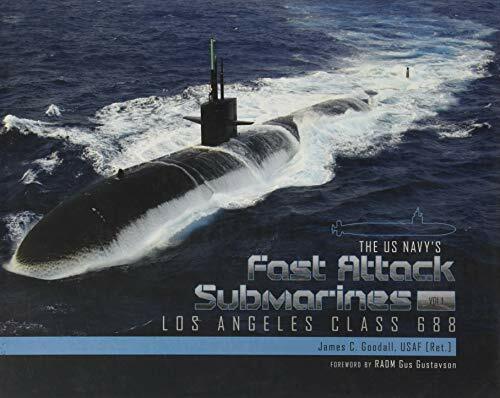 This book will give you an in depth look into one of the most important classes of submarines in the Navy’s recent arsenal. With a forward by Admiral Gus Gustafson, the reader gets an inside look at one of the most lethal weapons developed during the Cold War. The pictures and the stories help to describe these amazing machines in a way that will leave no doubt about the capabilities of the ships many of us called home. Even though the Virginia Class will eventually force the retirement of the boats of the 688 family, they will remain an important part of the submarine story. Buy this book. 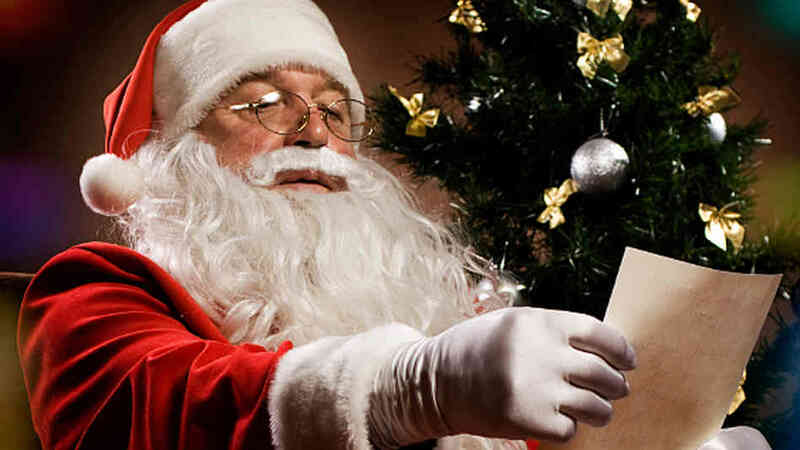 Or have Santa bring you a copy. 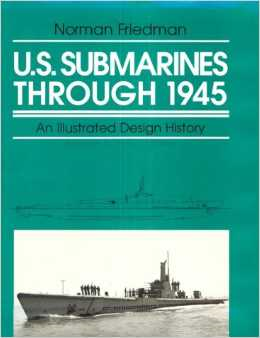 This is a must have for any submarine book collection. You will want it to pass to your kids and grandchildren. I honestly wish I had one like it from my first two boats. Rick Campbell is the author of “The Trident Deception” a fictional story that reads like a well crafted Clancy novel. This is a gripping story by one who has submarine experience and the pages practically turn themselves. High Adventure is sure to delight every fan of submarine stories and I give this book four stars for excitement. Norman Friedman’s “US Submarines through 1945” is a must read if you are interested in submarine development and the history of the technology advances made during this period. I have been using it for research into my project on Sugar Boats and it has been invaluable in that effort. 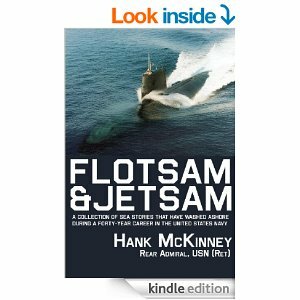 Finally, Rear Admiral Hank McKinney penned a book called “Flotsom and Jetsam” a collection of sea stories that have washed ashore during a forty year career in the United States Navy. While I have just started reading this book, it is certainly a great collection of stories that every cold war sailor can relate to. About the author: Captain Schwartz commanded USS Haddock (SSN 621), the submarine about which he wrote, but just prior to the time depicted in the novel. At that time, August 1991, he was in command of USS Michigan (SSBN 727) (Gold Crew). He also served on USS Queenfish (SSN 651), USS Will Rogers (SSBN 659), USS Puffer (SSN 652) as Engineer Officer, and USS Guitarro (SSN 665) as Executive Officer. Shore assignments were at the Bureau of Naval Personnel and in the Submarine Directorate on the Chief of Naval Operations staff. Additionally I was Deputy Commander of Anti-submarine Warfare Forces, Pacific and Professor of Naval Science at the University of Idaho. Captain Schwartz retired from the Navy in 1998 and lives in Port Saint Lucie, Florida with his wife Lin and young twins, Karen and Kevin. A very good read is “Hostile Waters” detailing how close we came to a nuclear disaster when the Russian K-219 sank of our east coast. Only one man could stop it. It was dramatized in a HBO Original Movie, Highly exciting. Book is written by Peter Huchthausen, Igor Kurdin, and R. Alan White. I met Igor on a recent cruise I made from Moscow to St. Petersburg. A very good read is “Hostile Waters” concerning how close we came to a nuclear disaster when the Russian submarine K-219 sank of our east coast. Only one man was able to prevent it. It was dramatized in the HBO Original Movie. Book was written by Peter Huchthausen, Igor Kurdin, and R. Alan White. I met Igor on a recent trip I made to Russia. Good retired Russian Submariner and once the XO of the K-219. If I may, one of my personal favorites is John Mannock’s fictional “Iron Coffin” It is a very human WWII Submarine story about a German U-Boat trapped in the Gulf of Mexico. A very enjoyable read. Hello, I really enjoyed this. Thank you for letting me try and understand what my father was a part of. He was a submariner for 30 years and I am so very proud of him! He also taught submarine school after WWII. You are welcome Katherine. All submariners have a brotherhood and we share our legacy as much as we can (with the goal of never revealing too much. Your father’s service really mattered to our country. How about my book “Bubbleheads”? Typically the way it works is that I read books unsolicited that I have a driving interest in. If I like them I encourage any of the people who follow my site to pick them up. Another way that has worked in the past has been the Author or publisher sends me the book, I read it and make a recommendation based on what my reaction is to that book. Rick Campbell has done that for each of his books and I have found them to be compelling. I am not a business or paid for my reviews. I just make comments on what interests me. No offence. You might also add “ Blind Man’s Bluff “ . It’s an excellent book about submarine espionage. I served aboard the USS Dace in that time period and participated in one of the segments in the book . Thanks for the note Michael. I served for a short time on board USS Halibut (not during the missions in the book) but signed a crap load of papers at the end of my tour which I still like to honor. You will probably never see any Halibut stories on the blog for that reason. I have mixed feelings about the book’s writers. While it is certainly a part of history now, the gathering of the intelligence that went into writing the book has always made me a bit uneasy. That being said, I have been given at least three copies of the book in my lifetime because people who knew me know that I served on board a boat mentioned inside. I appreciate the comment though and the visit. My father worked at Portsmouth Naval Shipyard and was somehow involved in the modifications on the bow . I found out in later years what they were for . He was supposed to go out on the Thresher on her Ill fated sea trials but chose to stay home to finish a project . God was on his side that day . I highly recommend the novel “Sharks and Little Fish” by Wolfgang Ott. It describes the German U-Boot experience of WW2 better than any other book I have read. Currently out of print but it is available through libraries, Half.com, etc. All three volumes are 160 pages, full color, hardbound, landscape format and covers all areas of the sub that are not restricted access. And this coming spring, volume 2 covering the Seawolf and Virginia class SSNs and next fall (4Q19) volume 3 on the Ohio boats. All three volumes are from Schiffer Publishing.